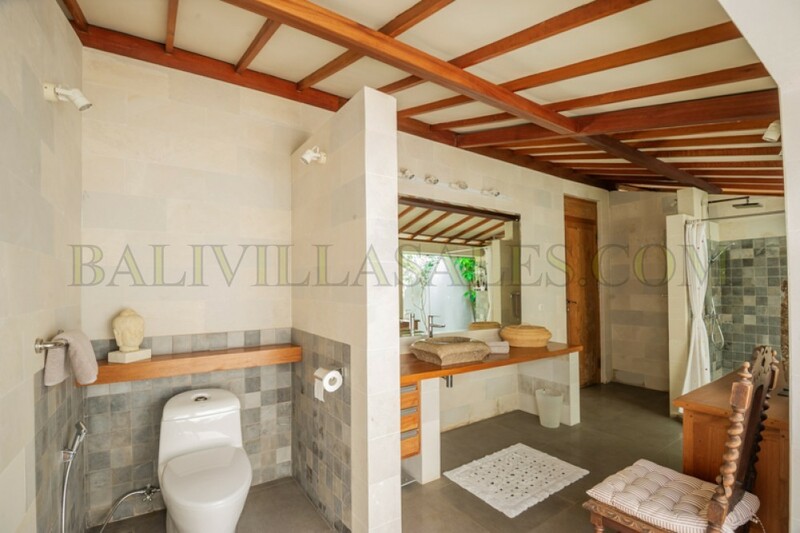 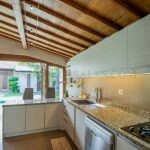 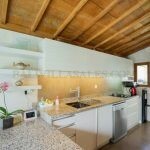 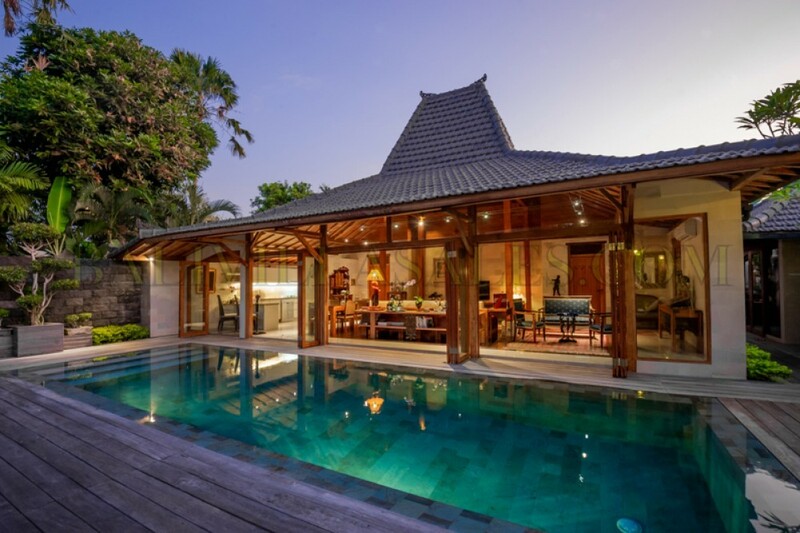 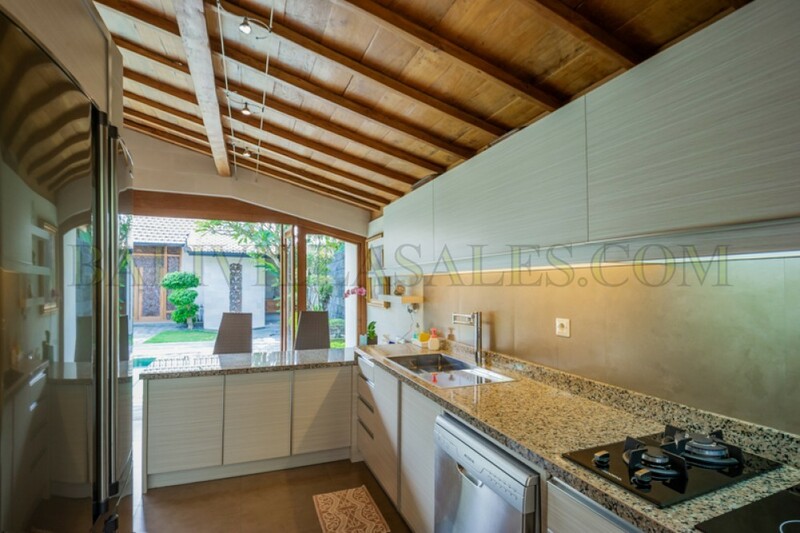 This villa built by Swiss owners, finished to Swiss standards. 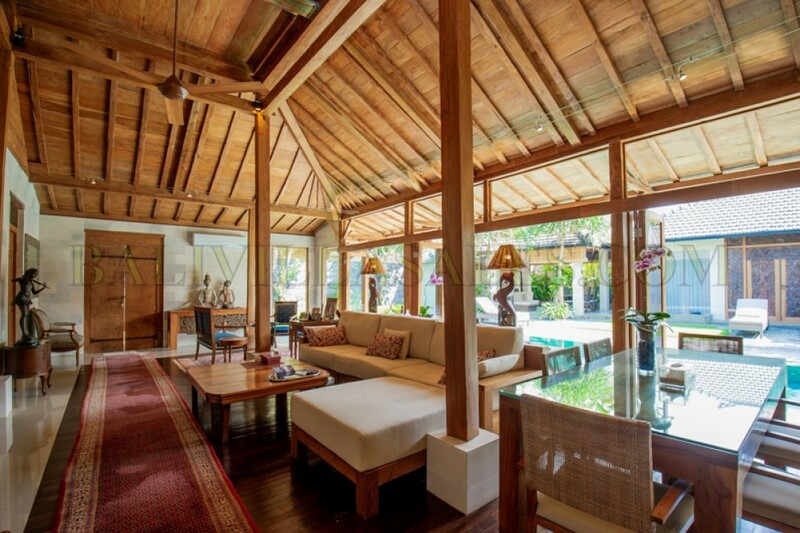 It is a modernized Joglo from Java (100 years old teak wood). 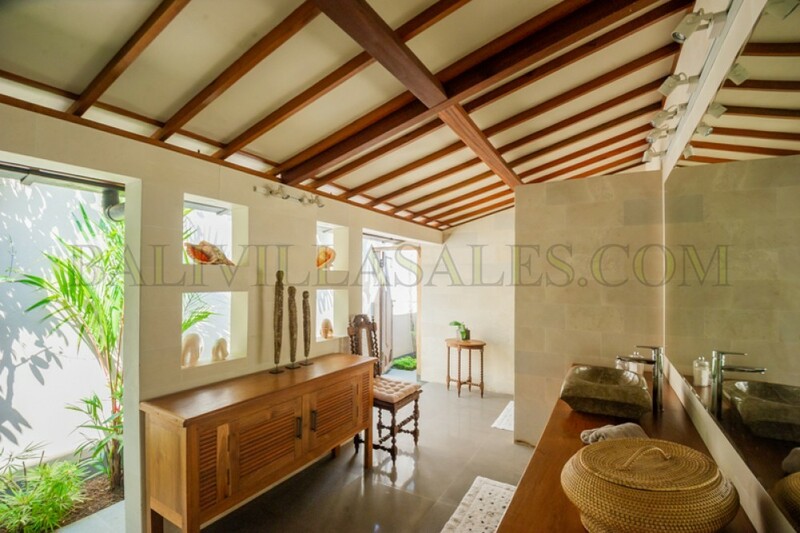 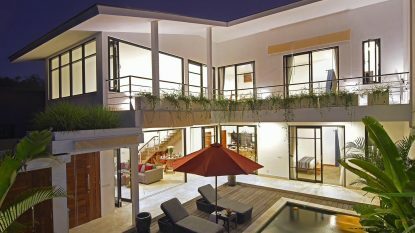 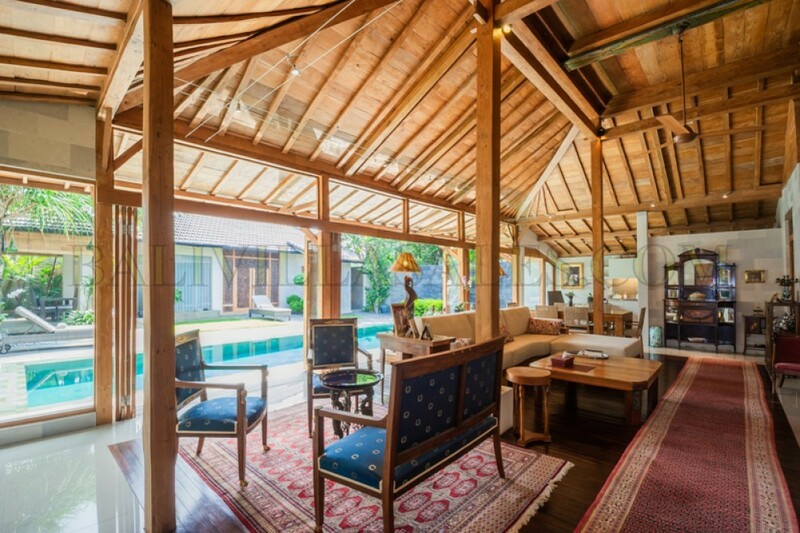 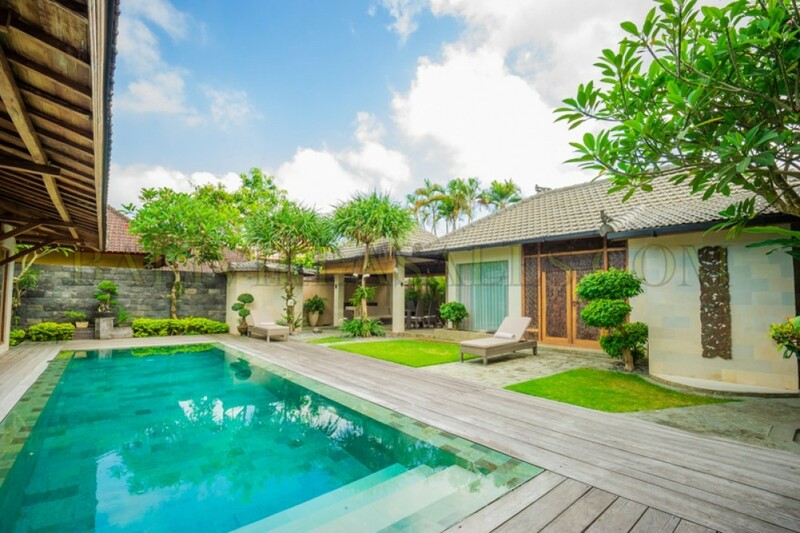 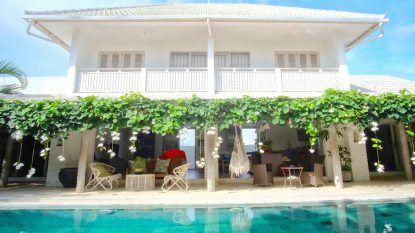 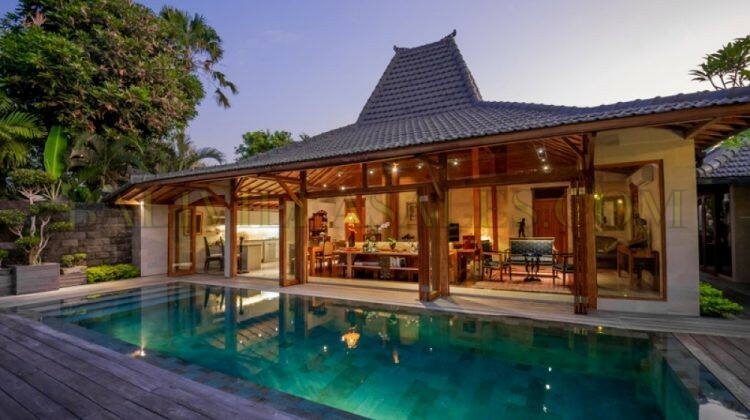 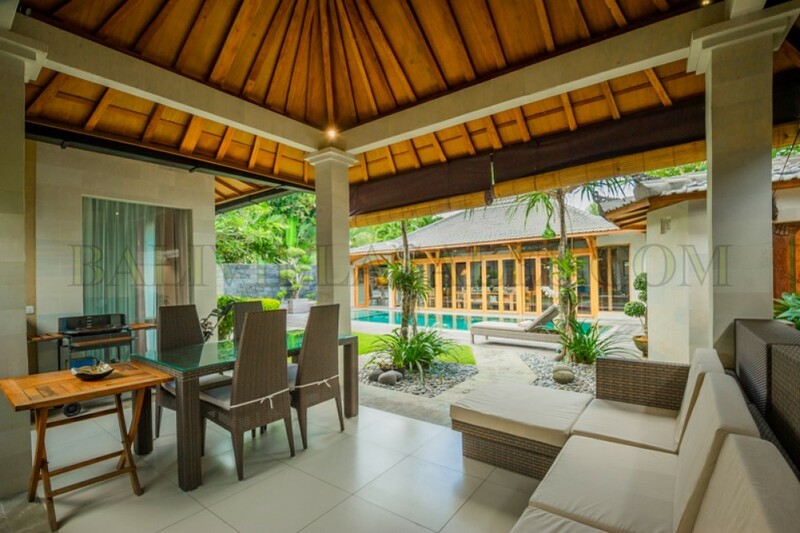 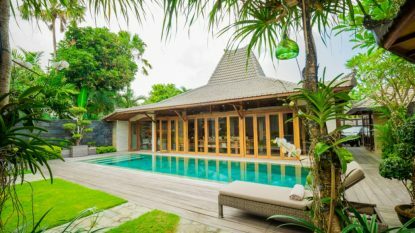 The property is located in a quiet and safe residential area in Cangg, easy access to Echo beach (famous for surfing) and Berawa area. 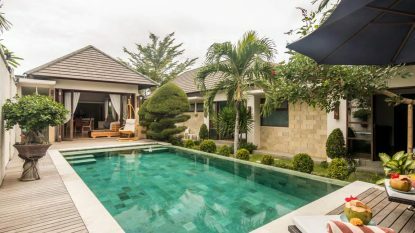 It consists of 2 spacious air-conditioned bedrooms with en-suite quality bathrooms, huge air conditioned living room and modern western built-in kitchen. 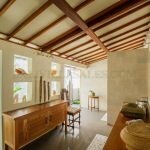 A beautiful one bedroom Guesthouse, with air condition, and own en-suit bathroom, and a specious Gazebo with great BBQ area. 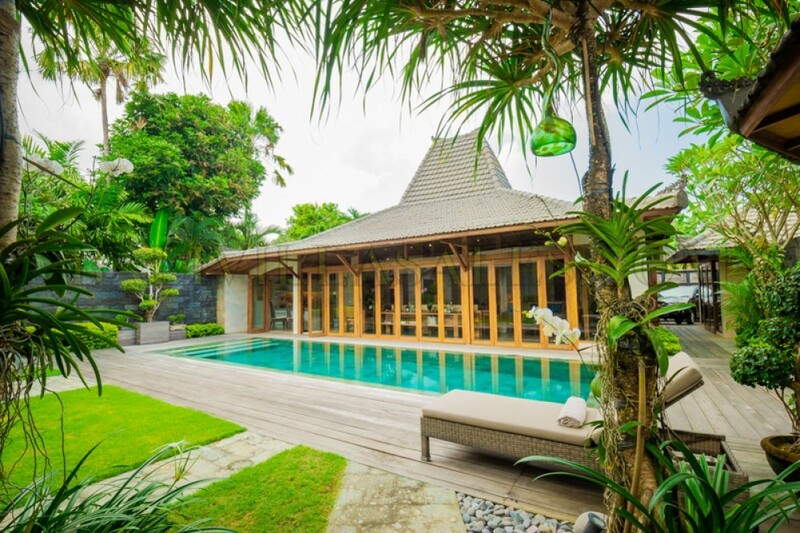 The pool 10 x 3 m set between the Main and Guesthouse, is built with natural stones, has 4 side overflows, giving an infinity mirror of water. 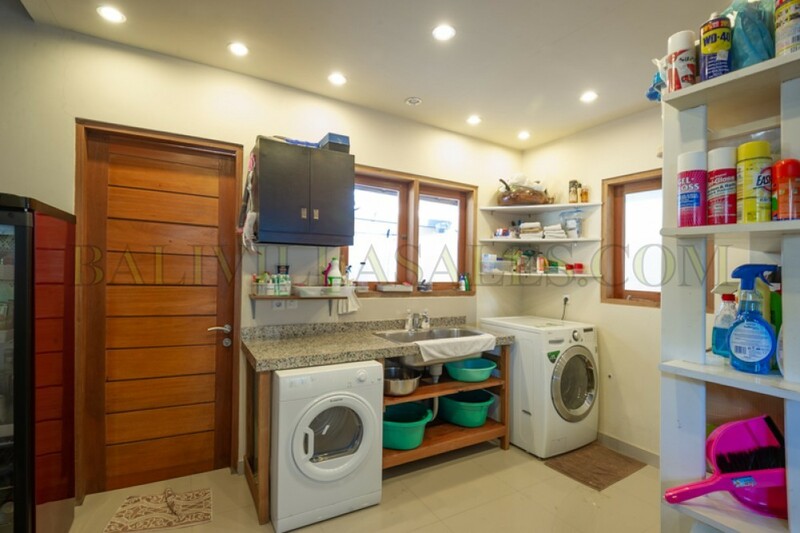 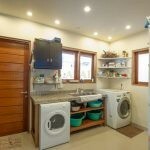 The property has further an air conditioned service house for storage, modern equipment for laundry and space for gym. 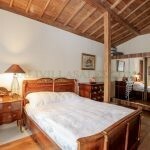 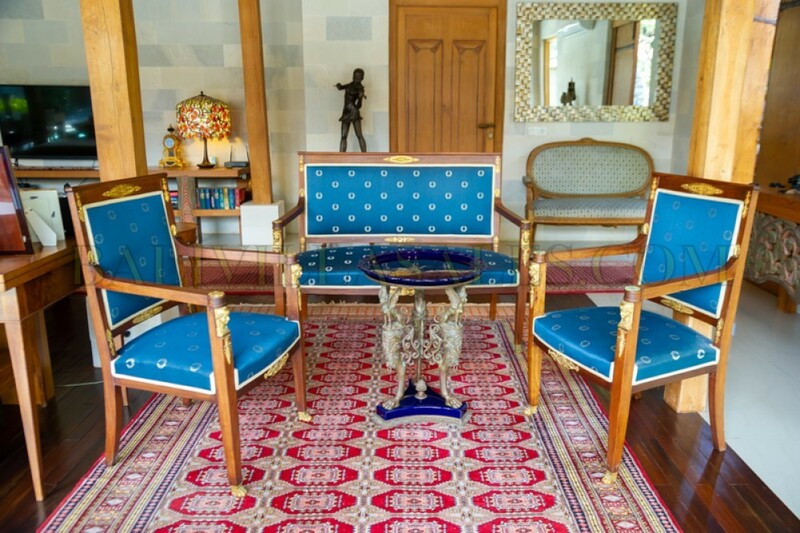 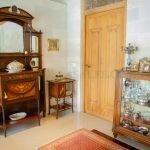 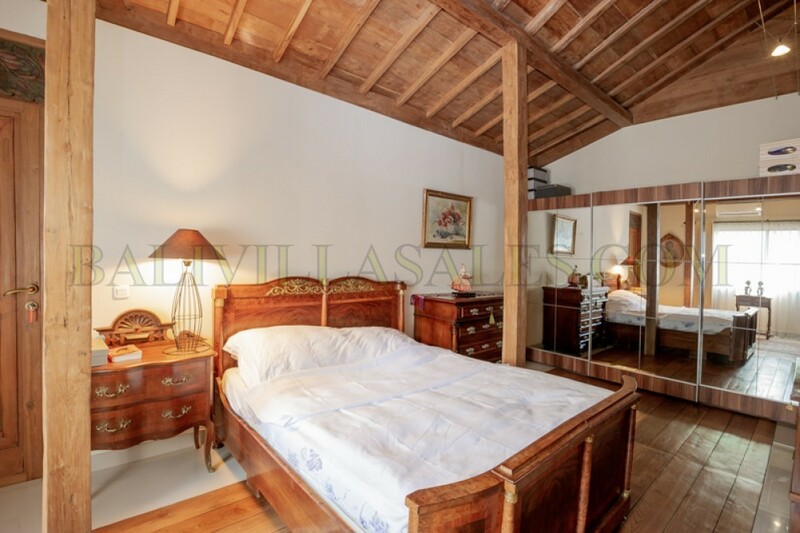 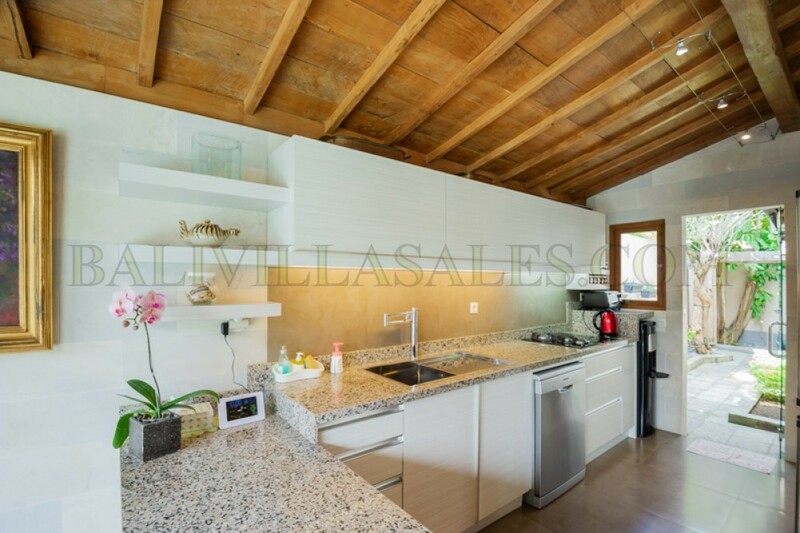 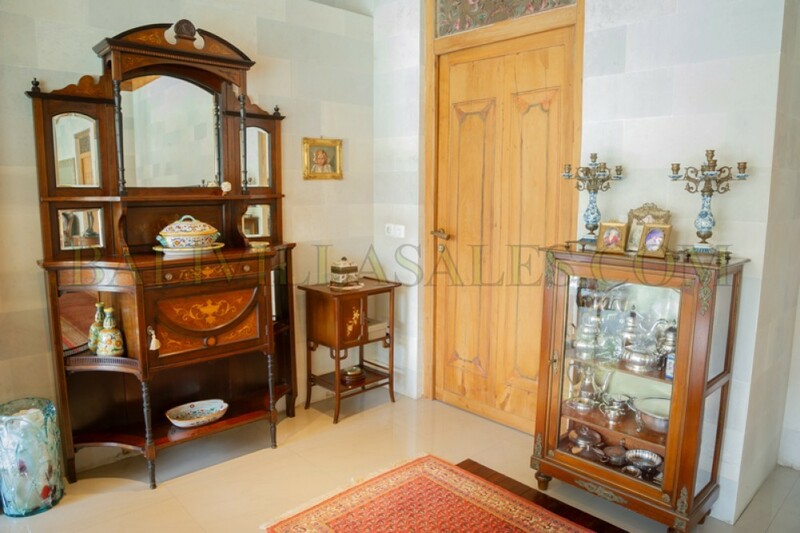 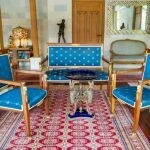 The villa is sold unfurnished, however some furniture, among them antique ones, as shown in the photos, could be purchased .